With a career that spans over two decades Manchester DJ Andy Carthy aka Mr. Scruff needs little introduction. He is regularly cited as a source of inspiration for many of the world’s up and coming artists through his eclectic approach to both DJing and creating music. 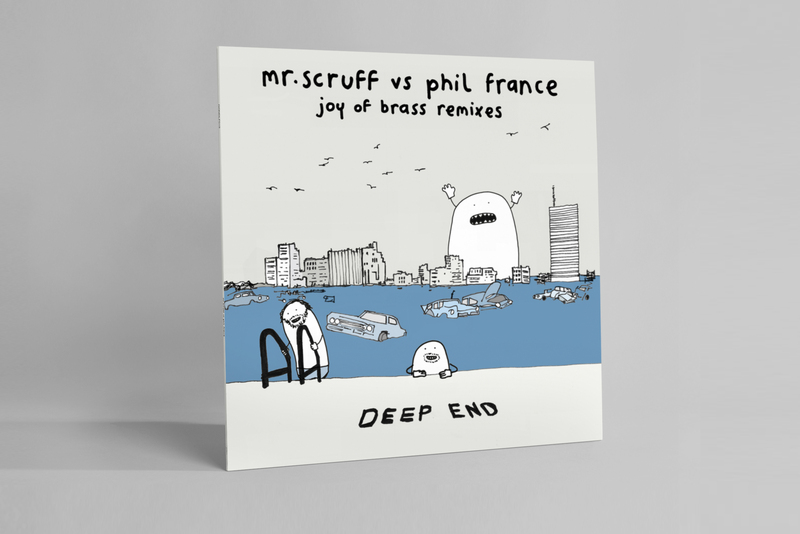 We are proud to say Andy has always been a keen supporter of the output on Gondwana Records, so when we re-issued one of his favourite records The Swimmer by Phil France it seemed an appropriate time to ask for a couple of remixes. The results of which are two wonderfully unique dance floor friendly takes on the track, Joy of Brass. Order on 12”/Digital formats online HERE.